This 1911 Belt Holster, conveniently referred to as the BH1, is a marriage made in heaven for your 1911. Best fitted for 1911’s without rails it is an attractive 1911 belt holster that fits like a glove and offers excellent retention with barrel lengths from 4 inches to longer. 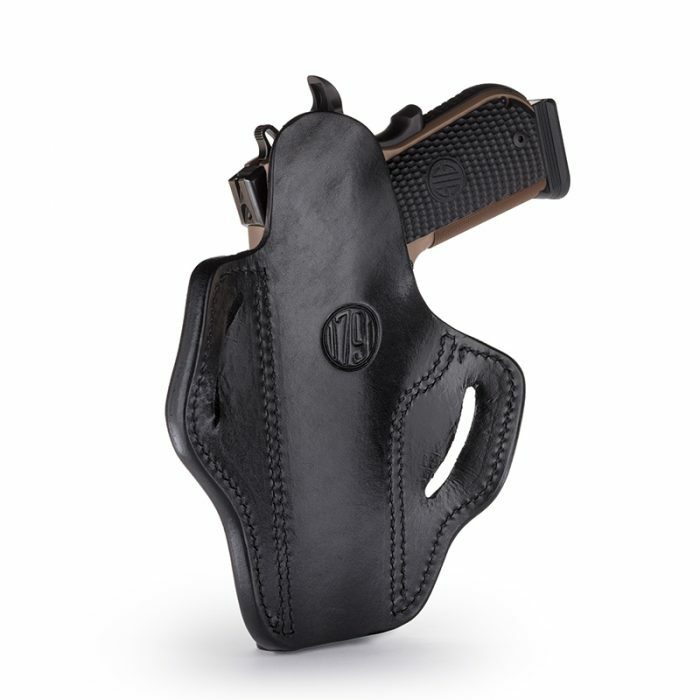 This 1911 Belt Holster, conveniently referred to as the BH1, is a marriage made in heaven for your 1911. 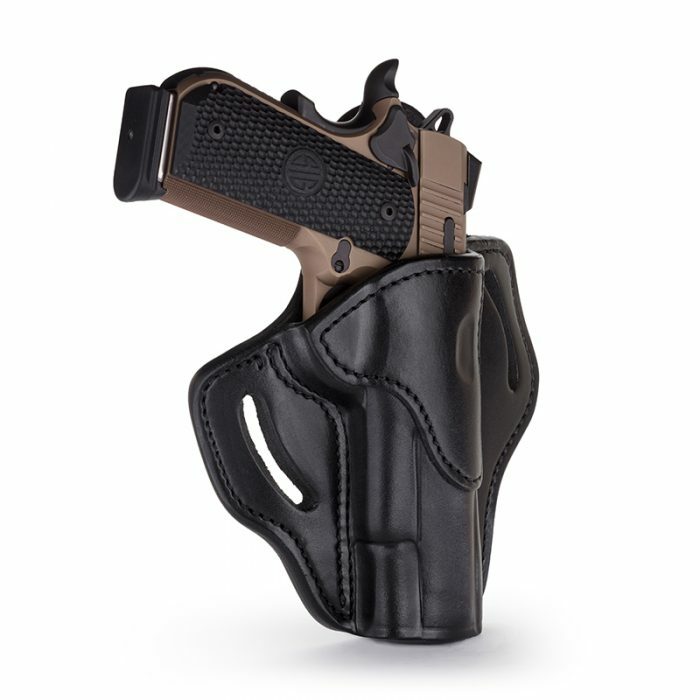 Best fitted for 1911’s without rails it is an attractive holster that fits like a glove and offers excellent retention with barrel lengths from 4 inches to longer. Additionally, the sweat guard will protect your gun from tarnishing and will act as a comfortable barrier between you and your hammer preventing any gouging into your side. The BH1 comes in a variety of colors to match your gun and attire. 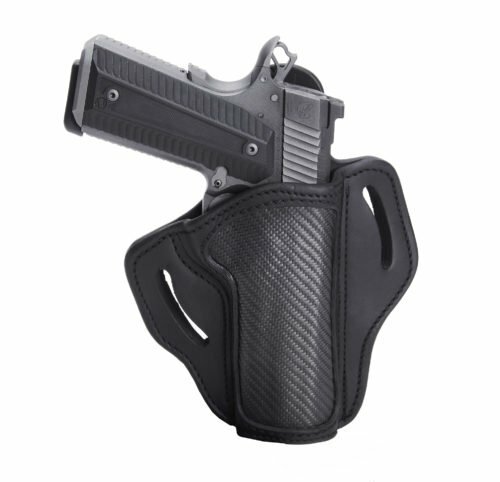 It will fit of your 1911 firearm perfectly and when wearing this OWB belt holster you will find it holds your gun tight to your body offering reliable and comfortable carrying all day long. Great holster. I bought the brown on black for 5” Ruger 1911. Fit great. Snug but easy to get in and out. It is so beautiful they should have more pictures of it on this site. Very impressed. Purchased the Signature Brown for a Sig Tac Ops w/rail, perfect fit and the angle is right on. 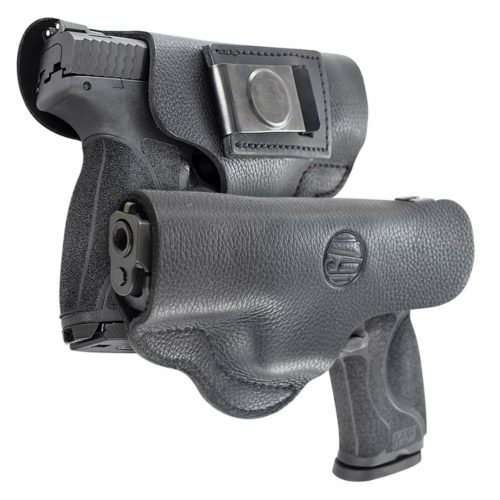 Quality holster worth every penny. Looking forward to other fitment options in other styles. Keep it up guys. 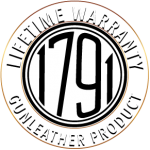 Initial Impression with 1791 GUNLEATHER: I wrote a question that came to mind after ordering a holster and magazine carrier for a new Dan Wesson PM-C in .45ACP. The very next morning a very pleasant and knowledgeable representative contacted me by telephone and apparently had done her homework in looking up my pistol’s specifications. She reassured me that I had indeed purchased the correct holster for my 1911 Commander sized pistol (no rail). It was the epitome of superb customer service! Initial Impressions of the BH1 OWB Belt Holster and Single Stack Magazine OWB Belt Carrier: Arrived in the mail well packaged with some nice swag thrown in for good measure. A couple of nice leather 1791 key chains and a 1791 window decal. The craftsmanship is on a level that is unparalleled unless one is willing to spend $100s more. I have one such holster and am in awe that 1791 matched that level of quality. The stitching and edges are superb and this holster is tight! 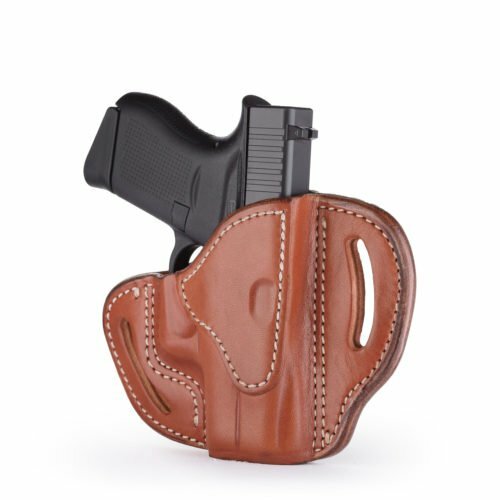 To stretch the leather for a smooth draw without sacrificing retention, I placed my 45 and a magazine in plastic, quart-sized Ziploc bags and plan to leave both in their respective holsters to complete the “mating” of this superb leather. I have been walking around the house for hours with the holstered pistol and with a good gun belt, the pistol hugs the body and the foward cant allows this all steel firearm to be carried very comfortably at 3:00 while disappearing under a sportscoat or large button down shirt. I’m 6 ft and 176 pounds with no gut, so the polo shirts do not work well for me in OWB concealment. If anyone is on the fence about this company’s artful craftsmanship, take the leap! This is a very well-made product and I am thoroughly impressed thus far.